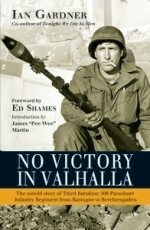 A member of the legendary Band of Brothers, Ed Shames was involved in some of the most important battles of World War II. His incredible combat record includes parachuting into Normandy on D-Day, and service during Operation Market Garden, at Bastogne and in Germany itself. 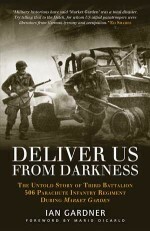 Shames' own words and recollections fuel a searing account that gives a soldier's glimpse into the ferocity of the fighting on the ground and the close fellowship that developed between the men in Easy Company. The first member of the 101st Airborne Division to enter Dachau concentration camp, just days after its liberation, Shames ended the war in the bombed out shell of Hitler's Eagles Nest, surrounded by his comrades in arms. from training at Toccoa, Georgia right through to the collapse of the Third Reich. Col. Ed Shames is a ‘Band of Brothers' veteran. He received a battlefield commission into E ('Easy') Company of the 506th PIR on 13 June 1944 in Carentan, France. He survived the war before eventually retiring as a Colonel. He is an active member of veterans' societies. Ian Gardner served for five years in Support Company, 10th Battalion, The Parachute Regiment as a medic before leaving the Territorial Army in 1993 due to injury. Always enthusiastic about military history, several years after leaving 10 Para Ian became interested in World War II US Paratroopers. 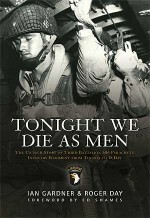 After a visit to Normandy in 2000 he decided to focus on the 101st Airborne Division, and in particular the Battalion of the 506th Parachute Infantry Regiment, which led to the critically acclaimed Tonight We Die As Men, co-written with Roger Day.  Currently self-employed, he is married with two grown up children and lives near Aldershot in Hampshire. 1. "Take the A train"
3. "The other side of tomorrow"
4. "The river runs red"
5. "Five seconds to forget"
6. "Bullets from the sun"
9. "And the rain drank champagne"